Posted by mareserinitatis in geology, grad school, research, science. A good friend passed away a week and a half ago, and while it seemed somewhat personal to blog about it, I want to tell a bit of his story and acknowledge the loss. I met Cale during departmental orientation at University of Minnesota, where I’m working on my PhD and he got his first master’s degree. Within fifteen minutes of our first one-on-one conversation, we were pretty much telling each other our life stories as we discovered very quickly we had a lot in common. One thing we had in common is we both loved food and coffee, so we loved to go places together that involved eating. In fact, almost every memory I have of him involves food as we made virtually daily trips to Starbucks. The rest of the memories involve walking someplace (sometimes to and from food), but often we walked other places as we both enjoyed hiking. 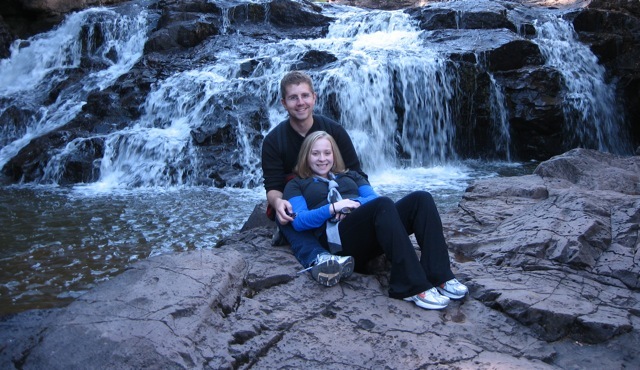 My first hiking trip to the north shore of Lake Superior was with him and another friend. The picture above is from a trip I took with him and his wife. He was just like family, and it helped having him there when my family was back in Fargo. Cale was a very smart and driven person. After he finished his MS in geology (his research earned him a Best Student Presentation Award at GSA), he went on to get another MS in civil engineering. His work focused on finding dioxins derived from triclosan (the antibacterial component of many hand soaps) in lakes around Minnesota. His thesis won the University of Minnesota Distinguished Master’s Thesis Award and the research resulted Minnesota banning the chemical beginning in 2017. Cale was an amazing person as well as a bright and hard-working researcher. It’s rare to find someone who has that combination of brilliance, empathy, humor, and humility…and he somehow managed it all. He was a very good friend to me personally over the past few years, and he seemed to have this ability to become friends with everyone he met. He genuinely was one of the nicest people I’ve ever met. Beyond that, he managed to make a positive impact on the world through his work. The world seems a bit emptier without him, but letting others know about him and his contributions helps to fill that space. Update: The Department of Civil Engineering and Geo-Engineering at the University of Minnesota has renamed their departmental thesis award after Cale. They are attempting to create an endowment to fund a cash prize for the winners. If you would care to donate, please go to http://give.umn.edu/giveto/caleanger . Posted by mareserinitatis in geology, older son, younger son. 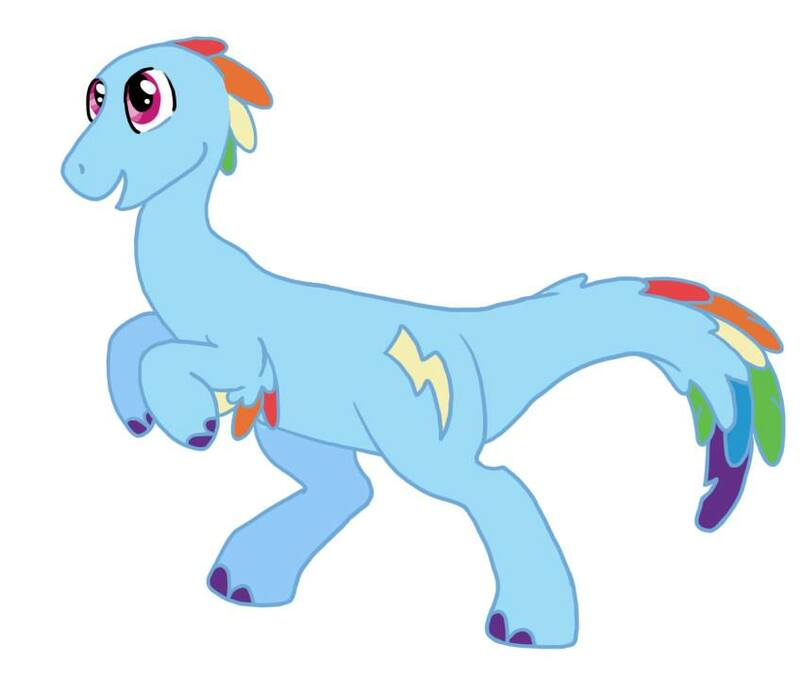 The interwebs may be familiar with Bronies…that is, boys who like My Little Pony or, as they prefer to call it, MLP. The older son became interested in them a couple years ago (apparently he writes Pony fanfic now), and the younger son is, of course, emulating his older brother. For his most recent birthday, the younger son received 3 stuffed Ponies, which absolutely thrilled him. He often takes them to daycare. The other morning, the younger son ran to grab a pony before daycare. (Pinky Pie? I have a hard time following.) He was also wearing one of his favorite shirts, which features a t-rex and says, “Kickin’ it, old school.” I took a picture of him posing with the pony and posted it on FB saying how I love that he likes both ponies and dinosaurs. 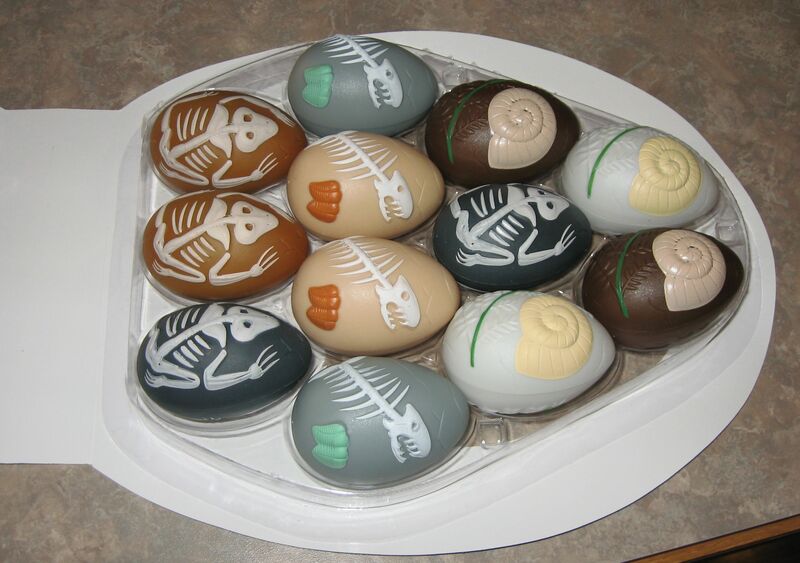 My friend @karifur commented on the picture saying there should be My Little Dinos, at which point another very talented artist friend, Becky Barnes (who works for the state Geological Survey and creates the Fossils in ND newsletter) posted a pic of such a creation. Sadly, because it would violate copyright, she can’t sell anything with these images, but she did say I could share them so that people can use them. 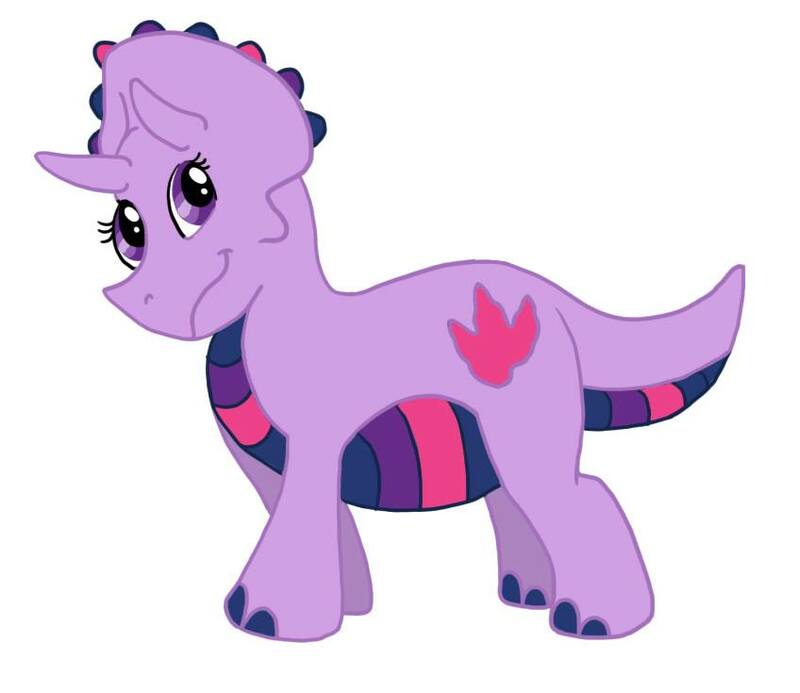 Maybe you can make a t-shirt for a little girl who might get into dinosaurs if they were more pastel? I just ask, however, that if you use these images on the web, you give credit to Becky. 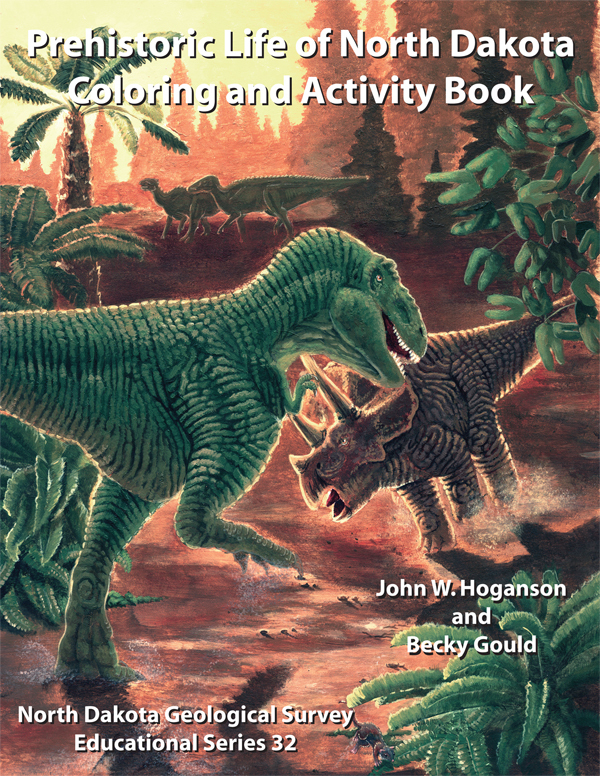 (Also, Becky made a dino coloring book, so maybe that would be a good gift, as well!) You can buy the book here. Posted by mareserinitatis in education, geology, math, teaching, younger son. At teacher conferences a few weeks ago, my son’s teacher mentioned that she was going to be taking a short period during the day to break kids into two groups. One group needed some help with some of the more basic concepts in math, while the others seemed fairly advanced. I got very excited, and I asked if I could come in and do some fun math stuff with the advanced group. She said she’d appreciate it because then she could focus on the other kids who needed more help with things. Yesterday was my first shot at this. It’s only about 20 minutes of seat time once a week (along with about an hour of prep, considering I have to bring in materials). I worked with a group of six, and it was fun. That’s the one thing about teaching college versus elementary school kids: college kids never get excited the same way little kids do. Of course, maybe it’s because you have to use a fundamentally different approach – more hands on – with little kids. On the other hand, I think you lose something with maturity. I have worked with a couple different cub scout groups, and they often have requirements to learn some geology for various badges. There is something amazing that happens when you put a group of 6-10 year old boys in front of rocks and other things they can touch. They’re fascinated with everything and seem to hang on your every word (when they’re paying attention). When you do the same to college kids, they just kind of shrug and proceed forth, maybe discussing the rocks with neighbors. Either way, they were really getting into building their crates. They were talking about the differences in sizes between all the animals, and it’s amazing all the movement and excitement and gestures that go into discussions among 7-8 year olds. After the twenty minutes was up, I was exhausted. My comment about how college students never seem to get excited is exactly why I prefer to teach them: I can’t handle the energy level of really young kids all day long. I have to admit that I admire elementary school teachers for doing this. However, despite being exhausted, I was really tickled with their excitement and the fun we had. I’m looking forward to next week. Posted by mareserinitatis in engineering, teaching. I’d like to know why I keep getting this question: “Why is your class the hardest?” I got it again today. Okay…so I’m teaching a freshman skills class to engineering majors. In fact, the department specifically asked to have it’s own sections. If my students are thinking my class is hard, I have to wonder what’s going to happen when they really hit the hard ones. I got this when I was teaching geology labs, though. My evals came back frequently with comments about how I graded much harder than I needed to, I expected too much for an introductory science class, etc. The coordinator for the course actually went through and analyzed how each of us graded. It turned out that I had the most lenient lab grades and graded more harshly on the exams. (Honestly, if you read and understood the labs, all you had to do was regurgitate your answers for the lab.) It ended up that my grading resulted in the same average as the other TAs. I’m trying to find out if I just look mean and intimidating because I don’t get it. I know I demand a reasonable amount of work, and I try to help the students as much as possible so they don’t get frustrated. But apparently my classes are hard. Posted by mareserinitatis in geology, religion. As you can see, we have some sort of mollusk shell along with some sort of green contaminant. 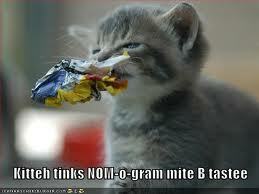 (Apparently the Easter Bunny isn’t the best at keeping samples isolated.) There is also the skeleton of a young reptilian creature…maybe a dinosaur of some kind. 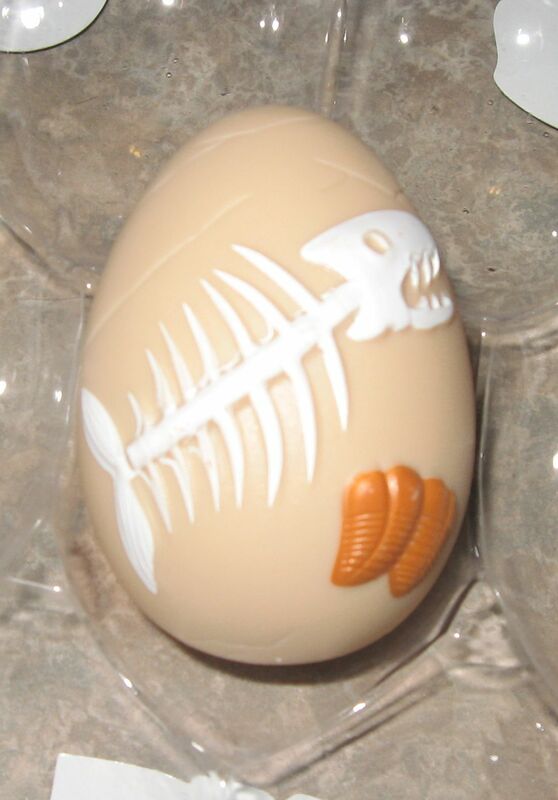 The the best is the bony fish skeleton along with some green or brown things. Hmm. The brown things look like they could be some sort of trilobite. Given I can’t figure out which trilobite order it belongs to, I will assume it’s an extremely primitive variety that showed up in the very early Cambrian. Definitely not Burgess Shale material. It’s also difficult to tell what types of rocks these fossils formed in as they have an amazing lack of identifying texture or chemical reactivity. 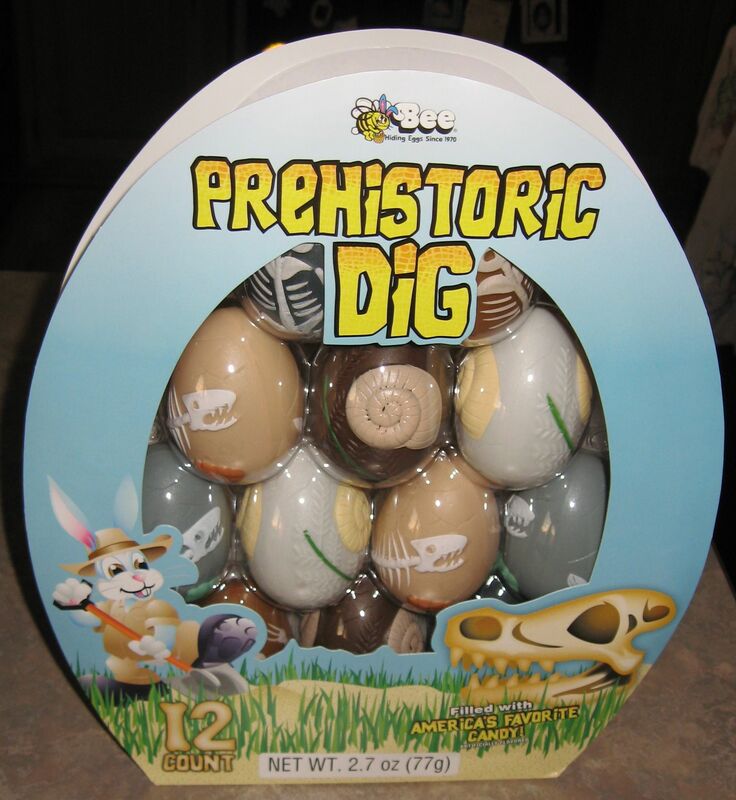 I guess I will have to leave the mysteries in the hands of more experienced paleontologists. Despite all these questions, I quite approve of the eggs (since I bought a pack). For those who celebrate have a Happy Easter! Lenore Skenazy (the mom who let her 9-year-old take the subway home alone) wrote a column about Consumer Product Safety Commission, which I thought was spot-on. However, she began the column by talking about how a school opted not to buy rock samples because they thought the students would be better off looking at posters of rocks. First, this makes me crazy. It’s bad enough that kids are taught geology by sitting in a classroom. Really. Geology is one of those things that I think you don’t get until you’ve been outside and have seen how it all fits together. But now they’re not only sticking kids inside to learn about the outside, they’re replacing actual samples with pictures. I’m sorry, but you can’t get a sense of many mineral characteristics unless you’re looking at samples. In fact, my experience is that you ought to have a few samples because some of them are lousy, and some of them are really good. In nature (that outside place where the kids aren’t allowed to go), you see both…really good samples and really lousy ones. In reality, the samples you see are usually somewhere in the middle. Anyway, I’m appalled. When I’ve taught geology labs, we give the kids samples of galena (lead ore) to look at. The students have often asked me, “Isn’t that dangerous?” I tell them that they’re old enough to know not to lick their fingers and that they should probably wash their hands after lab so they don’t get it onto some food, where it may be accidentally ingested. I haven’t had a single student suffer from lead poisoning.